Rotary Club of Eynsham supports the work of Gatehouse by helping with the delivery of donations to the charity premises in Oxford. Gatehouse is a charity in Oxford which aims to 'welcome the homeless and lonely, provide a place where dignity, companionship and refreshment can be found in a warm and safe environment'. It offers practical help; emotional support; advice and guidance; and referrals to other agencies. Registered Charity no: 1002741. Every 6 weeks it is the turn of Eynsham village to deliver supplies to Gatehouse to support their work. 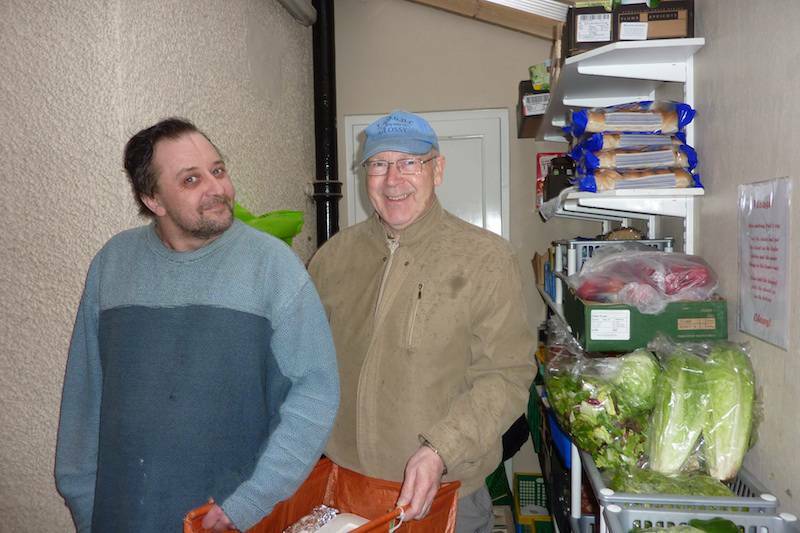 Home-made sandwiches, fruit and cakes (preferably home-made) plus warm clothing, gloves, scarves and caps in winter, are collected and delivered to Gatehouse at their Oxford premises. When Eynsham has the task of providing and delivering food and clothing Chris Plaistow, who has been the Rotary Club of Eynsham link with Gatehouse for some time now, ensures that there is cover from Rotary to provide transport from Eynsham to the Gatehouse centre in Woodstock Road. Chris provides members with all the necessary training including pick up and drop off arrangements. The food and clothing is provided by local organisations within the village and collected at Raymond and Revil Elliot's house in Newlands Street. The 'Rotary' car arrives at around 1.30pm on the designated Sunday, usually with 2 Rotarians and all food and clothing packed into the boot (can be close fit!). The delivery is received by the Gatehouse contact at the centre and we help in the unpacking and placing in fridges and shelves etc. Can you spare food, money or time to support this shelter for the homeless in Oxford? Please bring any food to the above address, indicating sandwich content (cheese, egg, tuna or ham are very welcome), date prepared and maker's name, but only on the Sundays when Eynsham is making the delivery. If current dates are displayed below, use those dates, otherwise use the contact number above to find out.Meeting Times: 8 or 9 Sundays a year (preferably) 09:00 - 12.00 - see dates above.